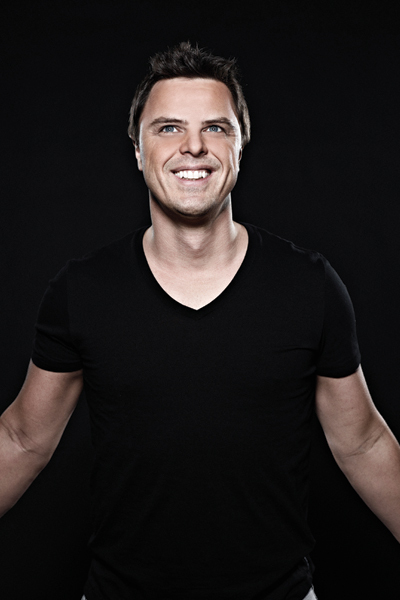 Markus Schulz is a DJ and music producer born on 3rd February 1975 in Eschwege, Germany. He is best known as the founder of the Coldharbour Recordings label and Schulz Music Group artist management company. Apart from this, he is famous for his own weekly radio show named “Global DJ Broadcast” which airs on several stations. Have you ever wondered how rich Markus Schulz is? According to sources, it has been estimated that Markus Schulz’s overall net worth is $4 million. Markus acquired his wealth thanks to the popularity of the music he produces and the fame he gained by hosting a DJ radio show. His own recording label and management company, have added to his net worth, which still continues to grow. Markus emigrated to the US with his family when he was 13, when his interest in dance music began, especially with the then popular break-dance scene. Markus’ first production debut was in 1993 when he remixed Sagat’s “Why Is It?”. He released the six-track “ Plastik Trax EP Vol 1” a year later and continued to earn recognition throughout the ‘90s with a range of releases. Schulz’s first non-domestic release came in 1998, when he recorded “You Won’t See Me Cry” for Plastik Records, which was then taken by UK’s Eve Records. These releases really kick-started his net worth. This successful DJ released four artist albums under his name, and six mix compilations. Apart from this he also released albums “Thoughts Become Things” and “Thoughts Become Things II”. Throughout his career he has co-operated with numerous artists, among others: Depeche Mode, Everything But The Girl, Madonna, Fatboy Slim, Book of Love, and OceanLab. Some of his biggest career successes are his remixes of “Stand” and “Intuition” by Jewel, which both reached #1 on the Billboard club chart. These have certainly assisted his growing net worth. Schulz often goes on international tours, or performs at clubs around the world when he is not in the studio. Some of the most famous clubs he has performed in include “Avalon”, “Ministry of Sound”, “Zouk” and “Club Space”. Markus has performed at some of the biggest festivals in the world like “Electric Zoo”, “Ultra Music Festival”, “Together As One”, “Love Parade”, “Trance Energy” among many others. In October 2010 he was in 8th position on the “DJ Magazine’s” annual Top 100 DJ Poll, although during the next few years he slightly regressed, leading to him taking 21st place on the same list in 2013. However, he was still crowned as America’s Number 1 DJ by “DJ Times” in September 2012. Schulz’s aggressive/progressive sound which confronts the fluffy modern trance melodies earned him the title of “Unicorn Slayer”. In the personal life of Markus Schulz, he is married to Heather and they reside in Miami, Florida Apart from being a DJ, Markus is also a humanitarian, and in November 2013 he teamed-up with Electric Family brand to produce a collaboration bracelet for which all of the profit would be donated to People for the Ethical Treatment of Animals.